Initially marketed specifically for Jazz, the Jazz bass has since become one of the most versatile instruments, shaping the sound of many famous bass players in the past couple of decades. Some of the most famous bassists of all time like Flea and John Paul Jones swear by their Jazz basses. The most important contributors to its characteristic sound are the two single coil pickups that give it the bright and smooth tones it is known for. 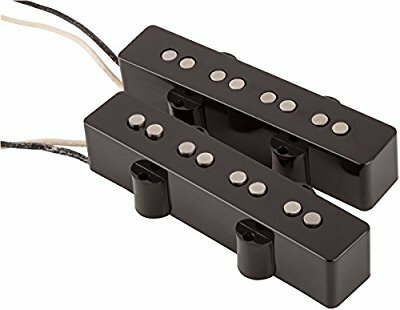 Changing these pickups can be a great way to develop your own unique sound and get the tone you’re looking for. So, if you want to explore some different tones or replace old, worn-out pickups, I have chosen five of the best J-style pickups on the market right now to guide you in your search. Below are my top five picks among jazz bass pickups. Although not a huge name in the industry like Seymour Duncan or Fender, Lindy Fralin has still garnered a lot of attention for their great pickups in the past couple of years. Their 4-String Jazz Bass Pickup Set follows this tradition with a refined vintage Fender sound, only with a little more output and a fattier midrange. The neck pickup is a bit shorter than the bridge to accommodate all strings and contribute to the smooth output. The notes are very even and bright, and the high end of the frequency range sounds amazing – the treble has a great presence and sounds very warm. The Alnico IV magnets also give you punchier mids than a traditional Fender, as well as clear, full lows. However, the Lindy Fralin set is considered a high-end product, so you’re definitely going to have to (almost) break the bank for these pickups. 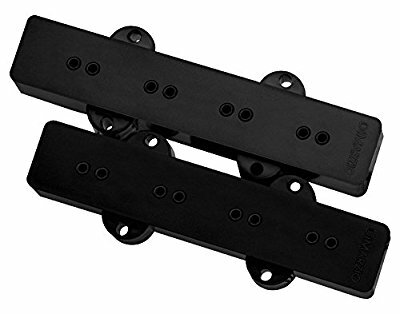 Known for their budget-friendly pickups that often perform well above their price range, DiMarzio seems to have done it again with their DP123 J-Bass pickups. These pups give you a vintage bass tone with warm, natural notes, though their low end could use some more punch. But when it comes to adding gain, these are one of the best jazz bass pickups on this list. 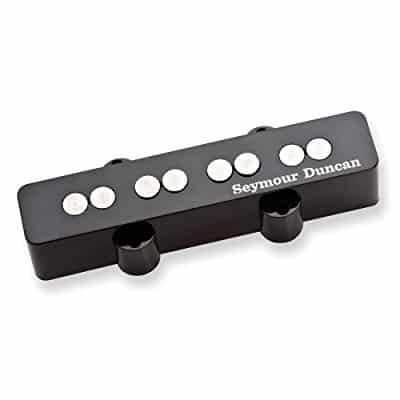 Although they are not true humbuckers, these pickups do use a ceramic magnet which keeps the tone clear without picking up unwanted extra noise. The ceramic magnet also gives you some extra bite compared to a traditional J-bass sound, so you definitely don’t have to worry about not getting through the mix. Stick them on a fretless bass for the best effect. It should come as no surprise that a set of Fender pickups secured a place on this list. After all, the Jazz Bass was introduced by Leo Fender for the first time in 1960. The Custom Shop ‘60s gives you the iconic J-style sound with a couple of modern tweaks that make them sound more powerful and rich. The difference from the original Fender pickups comes from the fact that the new coils are overwound, which gives you more punch, output, and midrange clarity. Alnico V magnets and Formvar wire add to their power, providing your low-end with more depth and your highs with more bite. One listen to these pickups and you will instantly realize why they are standard on most Fender Custom Shop basses. If you’re looking to improve your sound without spending a fortune on a new guitar or a set of pickups, the Seymour Duncan SJB3 bridge pickup could be a great option. The only entry on this list that is a single pickup rather than a set, it can be an easy and cost-efficient way to get the sound you want. A versatile pickup, the SJB3 gives you a nice sound suitable for all genres. That being said, these pickups pack quite a strong punch with impressive volume and output, which makes them perfect for heavier styles. You can blame the Alnico V hot coil magnets for that, as they give you great sustain and powerful attacks. Use two of these together to achieve a humbucker effect and reduce noise. If you want to power up your bass and get it ready for heavier rock or metal genres, the SJB3 is a perfect choice. If you can’t stand the inevitable hum that comes with single coil pickups, you may want to consider the Aguilar AG 4J-HC. It sports a split-coil design that eliminates the 60-cycle hum without sacrificing the natural, organic tone of your bass. You can also get it for a five-string bass, as well as a P/J pair. In the neck position, these sound similar to a Precision Bass, while the bridge position gives you the traditional sound filled with mids and highs, only without the usual noise. The tone is very subtle and smooth – when turned all the way up it can blow up a room, but it’s perfectly comfortable with just sitting in the mix and providing some depth to the overall sound of a band. 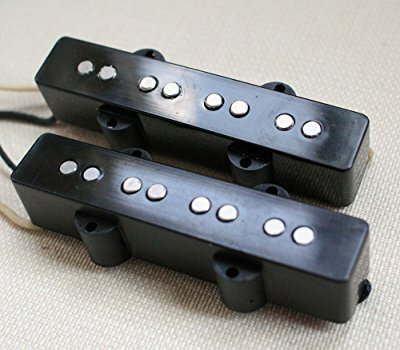 The only thing you can hold against these pickups is the fact that they could be bigger than your stock pickups, so you might have to modify your guitar to fit them. Although both of these bass guitars achieved an iconic status in their own rights, some bassists prefer one over the other. So, what is the difference between the two? 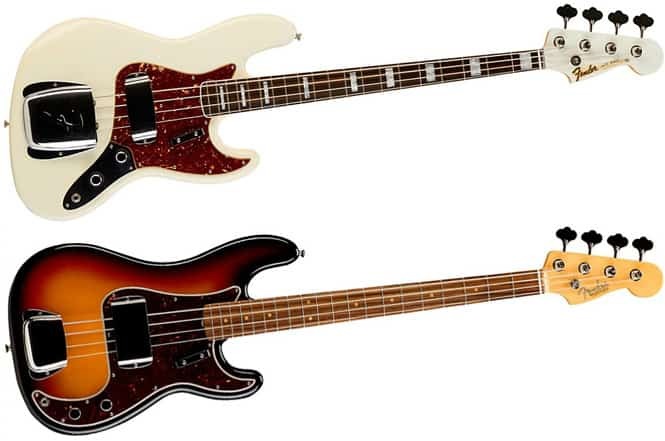 If we ignore the subtle design differences (the P-Bass has a bulkier body, while the J-bass is a bit more contoured), the electronics and sound set these two apart. The Precision Bass has a split single coil pickup mounted in a specific spot which gives it a deep, punchy tone. It is controlled with a single volume and a single tone knob. 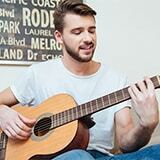 It is mostly used for heavier genres, but is equally at home with some mellower playing styles. On the other hand, the Jazz Bass has two single coil pickups with a pair of volume knobs (each pickup has its own) and a mutual tone control. It has a smooth and warm tone, though brighter than the Precision Bass. It is also more versatile thanks to its multiple pickups. As all single coil pickups, J-Bass pickups have their fair share of problems when it comes to the unwanted noise they can pick up from external electrical signals. This is precisely why the humbucker was invented – to cut down on this noise and provide the player with a hum-free sound. However, humbuckers have a muddier, darker sound which does not jive with the Jazz Bass’ warm and smooth tone. Split coil pickups, however, give you a similar effect to that of a humbucker, reducing the unwanted noise without compromising the natural sound of your bass. So, if the 60-cycle hum is a great concern, try looking for a split coil pickup that can eliminate it. I hope my list has brought you closer to making a final decision. Remember, while all of these pickups advertise different benefits and tonal qualities, the only way to truly compare them is to try them. Do your research carefully by testing them out and seeing how they feel. There’s a difference between RF interference and 60-cycle hum. They’re not the same thing. Humbuckers were invented to negate 60-cycle hum. You shield and ground the cavities to prevent RF interference.